ANAHEIM, Calif.— Laserfiche is the primary sponsor of the sixtieth annual conference of the International Association of Municipal Clerks (IIMC), which brings together more than 1,200 government officials representing 15 countries for a week of collaboration focused on helping local governments around the world run more efficiently in a time of tight budgets and strict regulations. The gathering will be held May 14 – May 18 at the Anaheim Marriot. Under the theme “Leadership with Imagination!,” municipal clerks from thousands of cities across the United States and from countries as far away as Hungary, Israel and South Africa will come together to exchange ideas and share best practices. Laserfiche is the leading provider of document management software solutions to local governments around the world and has been a major supporter of IIMC for more than 10 years. Anaheim City Clerk Sheryll Schroeder will act as Host Clerk during the conference. City officials will present an educational session highlighting a selection of the Anaheim’s best operational practices, offering advice on how to handle a wide range of local government issues. Collen Nicol, city clerk of Riverside, Calif., will present a session on how Laserfiche solutions have helped the city automate the agenda creation process and manage documents across multiple departments during a presentation of Riverside’s best practices. 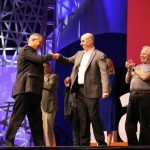 Other notable speakers at the conference include Bryan Elliott of Walt Disney Imagineering and Joan Lunden, former host of ABC’s “Good Morning America,” who will share first-hand tips on how to positively deal with major life changes. Conference attendees will also spend an afternoon exploring Disneyland and other well-known Anaheim landmarks. 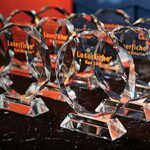 During the conference, Laserfiche executives will present awards to IIMC members who have implemented Laserfiche solutions in innovative ways. Visionary, Pioneer, and Records Management/Disaster Recovery awards will be presented in a ceremony on the last day of the conference. Founded in 1947, the International Institute of Municipal Clerks (IIMC) is the leading professional nonprofit association of Municipal Clerks and officials from cities and towns around the world. IIMC currently has 10,400 members. The Mission of IIMC is professionalism in local government through education. IIMC sponsors continuing education programs at its annual conference and through 46 university-based Institute programs. IIMC also offers professional certification and networking opportunities among its membership. More information: www.iimc.com.